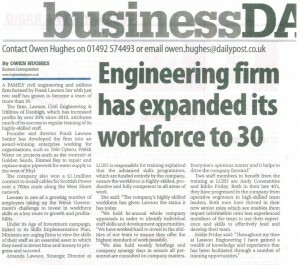 Lawson Civil Engineering and Utilities Ltd is a people business and as such we value those who are part of the wider Lawson family. 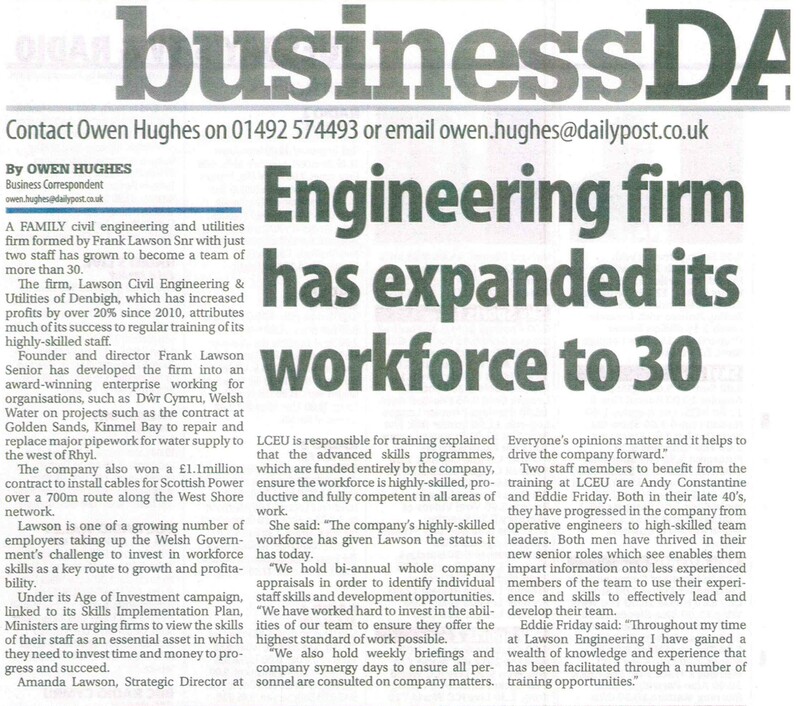 We are committed to employing the best and to continuing to invest in your future enabling you to develop skills which in turn benefit us and our clients. Our extensive training programme enables us to deliver an efficient, reliable and trustworthy service to customers whilst supporting the personal development of our workforce and ensuring their safety. 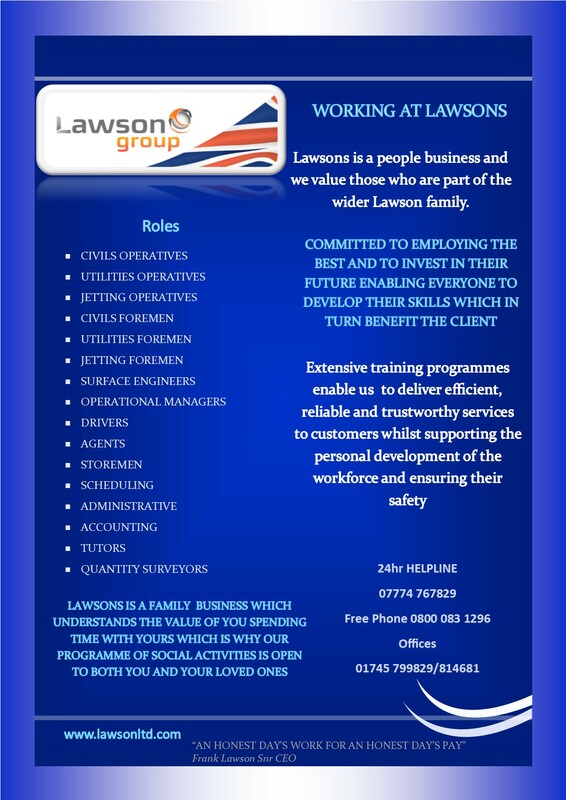 Lawson is a family business, and as such we understand the value and importance of you spending time with yours which is why our programme of social activities is open to both you and your loved ones. 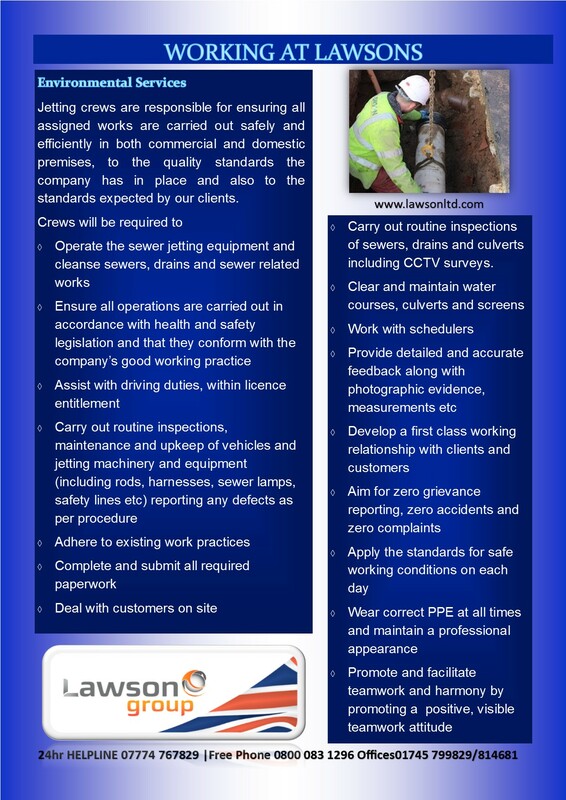 Lawson Civil Engineering and Utilities Limited (LCEU) have a vacancy for a Quantity Surveyor/Estimator to join our management team. We provide a one stop shop, global service for our clients in the private, commercial and domestic sectors. 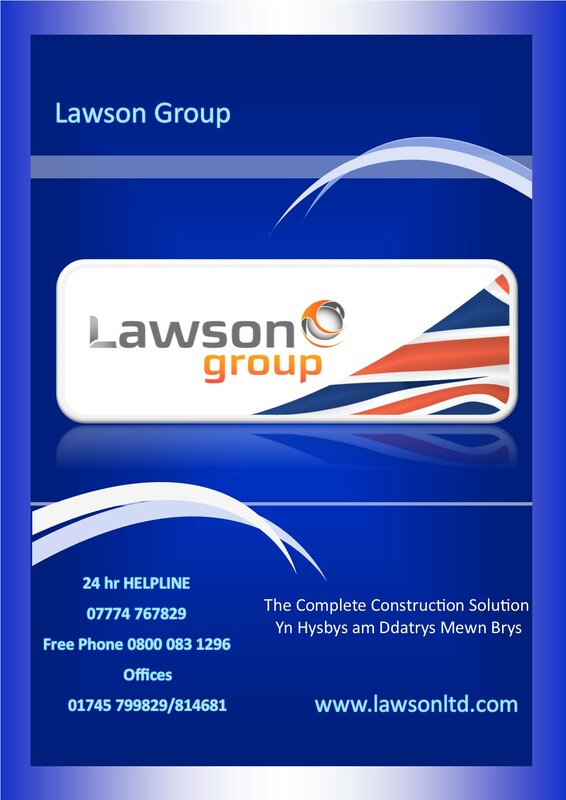 Our services include, but are not limited to Building, Civil Engineering, Utilities, Environmental and Asphalt/Macadam surfacing services – Lawson is committed to offering our customers a quality, value for money service. 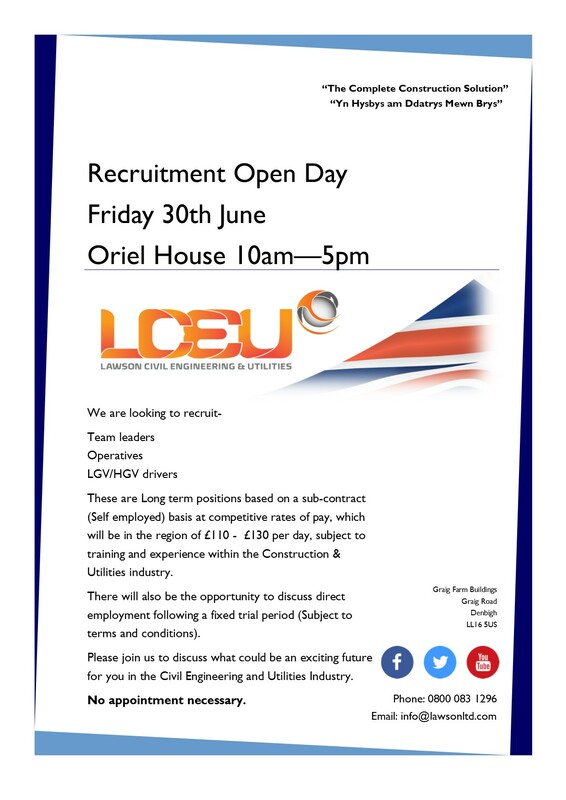 Have experience within the Building, Civil engineering, Utilities and Surfacing Industry. Have knowledge and understanding of the NEC and its various options. Take responsibility for surveying and appraising potential contracts and frameworks. Preparing quotes, estimates and measures. Preparing supplier tender enquiries, contract documents, including bills of quantities and analysing costings for tender returns. Assist with the procurement strategy. Commencing on a self-employed trail basis, then direct employment salary negotiable on experience. 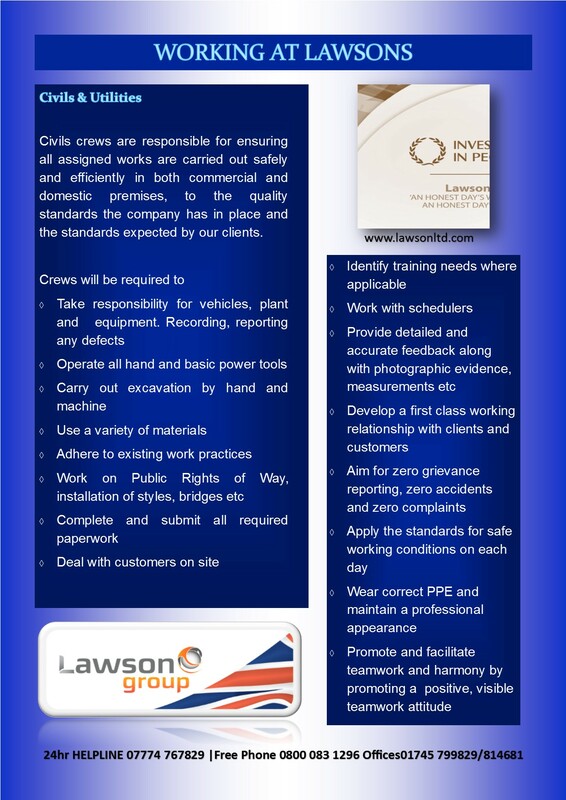 Lawson Civil Engineering and Utilities Ltd have a vacancy for a Jet Vac Operator to join our experienced and highly qualified workforce who offer the complete construction solution to both the public and private sectors. This job calls for someone who enjoys working with people, and has enthusiasm for the job, and can deliver a fantastic service too. As part of a two-man crew, you will be required to assess the jobs and use the correct course of action to resolve any problems. While you’ll be out on the road much of the time, you will always have available to you an excellent support team. We’re looking for someone who loves working with people. You’ll also be flexible to work evenings, weekends and bank holidays as required. And just as important as anything else, you’ll bring a positive ‘can-do’ attitude to the team. Please download the form below and send it to our postal address.